This entry was posted in Lake Map, Sediment and tagged aerial lake map, Aerial Map, Bathymetric Map, Bathymetry, dredge process, Dredging, Fishing, GPS, GPS Lake, GPS Map, Habitat, hydrographic survey, lake dredge, Lake Management, Lake Map, Lake Mapping, Lake Survey, Sediment, sediment survey, Sedimentation, Survey, texas fishing, Texas Lake Map, Texas Map, The Mapping Network, Waterfowl, when to dredge a lake on February 20, 2013 by Moderator. 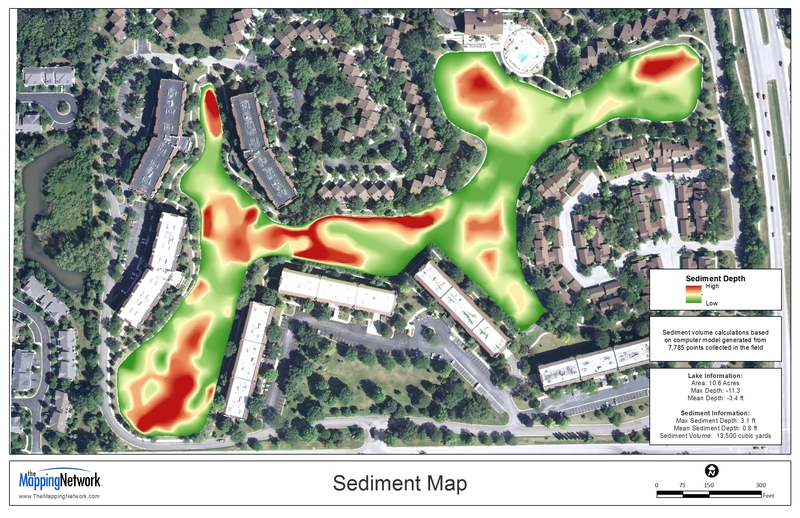 Here at The Mapping Network, we understand the challenges and costs associated with locating and removing sediment. 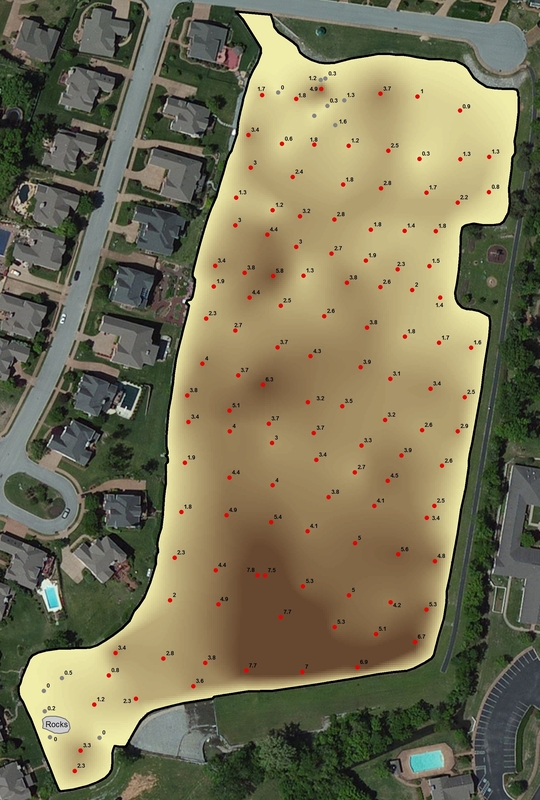 We specialize in accurately mapping bodies of water, calculating the water volume, collecting sediment depth samples at critical areas and monitoring the distribution of sediment over time. 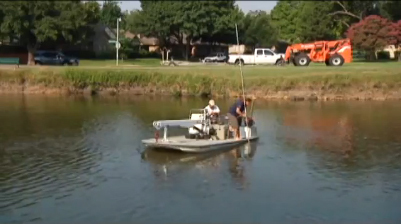 Trent Lewis with Pond Medics, Inc. (Prosper, TX) put this technology to use for the City of Plano, Texas. Watch the video created by the City of Plano as they describe the process and watch the mapping in action. Pond Medics Collecting bathymetry and sediment data in the field. This entry was posted in Lake Map, Sediment and tagged Bathymetric Map, Bathymetry, Dredging, Fishing, GPS, GPS Lake, GPS Map, hydrographic survey, Lake Management, Lake Map, Lake Mapping, Lake Survey, Pond Medics, Sediment, sediment survey, Sedimentation, Survey, texas dredge, Texas Dredging, Texas Lake, Texas Lake Map, texas lake problem, texas sediment, The Mapping Network on August 31, 2012 by Moderator. This entry was posted in Lake Map, Sediment and tagged Bathymetric Map, Bathymetry, Dredging, Fishing, GPS, GPS Lake, GPS Map, hydrographic survey, Lake Management, Lake Map, Lake Mapping, Lake Survey, Pond Medics, Sediment, sediment survey, Sedimentation, Survey, texas dredge, Texas Dredging, Texas Lake, Texas Lake Map, texas lake problem, texas sediment, The Mapping Network on August 15, 2012 by Moderator. This entry was posted in Lake Map, Sediment and tagged Bathymetric Map, Bathymetry, Dredging, Fishing, GPS, GPS Lake, GPS Map, hydrographic survey, Lake Management, Lake Map, Lake Mapping, Lake Survey, Pond Medics, Sediment, sediment survey, Sedimentation, Survey, texas dredge, Texas Dredging, Texas Lake, Texas Lake Map, texas lake problem, texas sediment, The Mapping Network on July 12, 2012 by Moderator. This entry was posted in Lake Map, Sediment and tagged aerial lake map, Aerial Map, Bathymetric Map, Bathymetry, Dredging, Fishing, GPS, GPS Lake, GPS Map, Habitat, hydrographic survey, Lake Management, Lake Map, Lake Mapping, Lake Survey, Sediment, sediment survey, Sedimentation, Survey, texas fishing, Texas Lake Map, Texas Map, The Mapping Network, Waterfowl on June 7, 2012 by Moderator.